Purchased WishList Member and are now stuck wondering how to set it up properly? Wished someone could walk you through Step-by-Step to set up your site quickly and easily? Been stuck wondering how you can get your membership site just done already? Wondered if your site is set up properly, and your content is totally safe from others “stealing” it? Wanted a complete training on WishList for a staff member, so they can set up your sites for you? Well, if you’ve answered yes to any of these, then you’re in the right place! Now we all know WishList Member is perhaps the best Membership Site software on the market. We also know that WishList is also great for setting up Secure Sites for making sure our content is safe from anyone stealing it. But because WishList is so flexible and can do so many things, the options of how you can set up your site can be overwhelming, to say the least. Have them pay from the beginning..? This list goes on and on and on… The possibilities are endless – and that can be the problem! As a Certified WishList Specialist and Website Specialist, I’ve actually been working online for over 14 years. I started when the internet Dinosaurs were roaming the World Wide Web. Those were the days when a 12 inch monitor was the “gotta have” and hard drives were measured in Megabytes and not Gigabytes, like they are today. In that time I’ve worked on creating all sorts of sites, with all sorts of technology – big and small, good and bad. 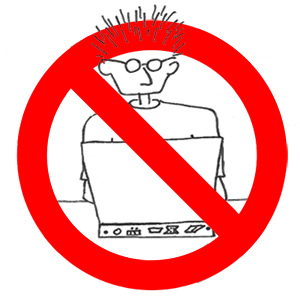 I’ve had to build websites by hand – sitting there typing out the code from scratch. There was no FrontPage, no Dreamweaver and definitely no WordPress. I’ve done everything the hard way – literally. Luckily for you, this means so you don’t have to. I also worked in Corporate – earning 6 Figures A Year – creating internet sites and applications for the software that the company sold. I travelled all over the world – from South Africa to San Francisco – to train Sales and Support staff on the software, it’s capabilities and the little Ninja tricks that I found I was able to do. All this has taught be to be able to teach even the least technical person to be able to use software they never dreamed they could. These are the people who “hunt and peck” the keyboard when typing anything, and always ask the same simple question every day, no matter how many times you tell them. I’ve had to make things as simple as possible, so that even those who can barely turn on a computer can follow along. This experience turned me into a Jedi Master at making sure anyone can understand any piece of software, with my super simple teaching style. At the same time programming geeks are able to grab exactly what they need from my training and implement it immediately. There just isn’t any decent training! The vast majority of the questions I’ve had about what could be done with the software I couldn’t find anywhere. I searched high and low, and eventually had to contact support. The guys at WishList Support are great people – but it was a delay to my work – and sometimes projects just didn’t get done when they should have. There was just no training, and I had to wait – for what seemed like forever – for an answer from the Support Desk. And even when I did get an answer, it often created 2 more questions that I needed answering so I could do what I wanted to do! Sometimes they referred me to a video on the topic, which only did part of the job. The videos were created from a technical person’s view point. From working with technical developers in the past, I knew exactly what this was like. Because I worked with them before, I was able to translate the information they were looking to get across, see what was missing from the whole picture, and then translate that into English – that everyone could understand. This is just one of the many things I learned about WishList Member, and it also took me a number of emails to find out. Over time, after watching all the videos – and after many emails forward and back with WishList Support, and various other people, I found out all the little tweaks and settings within WishList – and many Ninja Tricks that no one ever talks about. After working with WishList Member for so long and creating so many sites with WishList (and by going through the WishList Member Certification to make sure) I found the most common site types that people are using WishList for and created simple Step-By-Step video tutorials that walk you through setting up your site, from beginning to end. I take you behind the scenes to my site, and we create the site from the very beginning, adding video, text, audio downloads – you name it – onto your site so that all the bases are covered and you have all the information you need to create your site – no matter what skill level you are at. Using streaming videos that you can pause at any time as you go through the steps, you create all the pages you need for your WishList Member site to be set up correctly, we then set up your settings in WishList itself, so you’re confident you have everything set up correctly, and we then test your site to guarantee everything is secure and only those who you want to have access to your content actually get it. “When I got WishList Member Tutorials I jumped straight in and watched different parts. I was really excited and had to watch the videos all the way to the end. I love how the course offers two different complete sets of video tutorials. One set shows the common steps in installing and configuring Wishlist Member on any WordPress website. 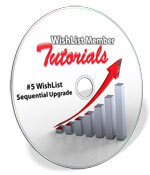 The other set drills down and teaches the specifics of how to implement the 5 most common Wishlist applications, from protecting a single product or multiple product download (with upsells) to a monthly delivered membership course. In this section you get up and running as quickly as possible. If you’re looking for a quick set up, these are just for you. All in under 26 minutes. Go from nothing to having your content secured in just under half an hour. Even if you took your time, had a coffee or two and typed slowly, you could have your site up and running in under an hour – just with this section alone. This is a quick training on the essentials of WishList Member, and then you can watch the other videos to get more specific information on any other areas you want to explore. Here you get a the full rundown of everything in the Settings Tab. You find out what all the settings mean, what they do and how they affect your site with the various options you can choose. This is the heart of the software and you find out how you can set up your site with the best most efficient structure so your members area is running at its best. In this training you understand how to manage your members when they join your site. You discover many of the time saving features of WishList for managing your members. Here you set up your various Membership Levels or Products on your site. This is perhaps one of the most misunderstood but most powerful areas of WishList Member, and you get every piece of information about it so you can add it to your arsenal when setting up your sites. This is the “Content Release/Drip Engine” of WishList Member. Keep people coming back for more every day, or every week, or every month. Knowing which settings to use are essential to having your site run all by itself, so you have the least amount of work to do on your site as possible. Membership sites can be a lot of work, and setting this up right will save you a lot of time and headaches – now and in the future. or one of the other payment processors that WishList Member integrates with.You can set up your site easily and quickly with the training inside. You also set up your AutoResponder so you can keep in contact with your members once they join. Keeping in contact is essential to having happy customers. And you set up your site with your autoresponder here to make sure they stay happy members for a long long time. Have your site set up and putting money into your account in as little as 7 minutes with this section alone. Here you get to set up a site for a one off product. Maybe you’re selling an ebook, an audio download, a video training course, or all of the above in one package. This is perfect for a quick product setup. It’s straight to the point and shows you how to set up your site quickly, even uploading and securing video, audio and downloadable documents. With this training, your site can be up in less than 54 minutes. Even if you took a break, paused every video with every step, you would have your site ready to take members in a few short hours. Here you learn to set up a slightly more complicated members area. This training is for having multiple products or membership levels on your site. Using little known Ninja Tactics (as this functionality isn’t built into WishList) can all lead to increases of 60% or more to the revenue you make on your site – all from the same number of customers. This alone could pay for itself again and again and again! If you’re looking to set up a site where you deliver content just once a month, then this training is for you. The list is endless.There are a number of ways to set up a site like this, depending on what you want to achieve. If you’ve got an annual membership with monthly content, or a monthly payment option, the settings can differ hugely. Get this wrong, and it can cause you problems down the line that you could have easily avoided with the right configuration. If you have a blog and you want to add a Premium or Paid Content Membership, this training is perfect for you. You find out how you can tease non members with content on your site and set it up in such a way that because they are wanting what’s “behind the curtain”, they have to join. Setting your site up with these strategies gets you more people into your site, giving you more money each and every month. Having a Free Membership site is a great way to build a list, build reciprocity and goodwill with those members, so that they buy from you later on, if you want to market to them in some way. If you’re setting up a community site for free, this works the same. You set up your site with a level of security on it so that those who are joining are real people, and not someone who’s wanting to spam your site. Use WishList’s built in settings to protect you and your members easily and quickly, creating a great community and developing a great relationship with everyone in there. You can even combine this with the Multiple Product site to create a paid for upsell, and increase your revenue from a “Free” site. Not only do I bring you every step of the way through the whole process, I also give you little Ninja “Tricks and Tips” that you can use in setting up your site. So What’s Different About This Training? There are actually many parts of WishList Member Tutorials that are different from any other training out there. Firstly, our focus is to get your site up and running as quickly as possible. You’re not held back from doing that. When you join, you jump straight in to discovering what you want to know about WishList, and then putting it to work for you. There is a Quickstart video showing you exactly where everything is. From there you know what area you want to start on, and then you can just go for it. Dive right into the video training that’s right for you, and your site. Every area of WishList is covered for you. Every link, button and setting is explained. If you ever wondered what something did in WishList, you’ll have it answered here. I give you all my experience to set you up. You don’t have to worry any more about if you’re doing the right thing or not. You have WishList Member. This is an amazing piece of software that can do so many things with. So many people never do anything with the products and the software they buy because they don’t know what to do. They don’t know what that first step is. They get paralyzed with Procrastination and never do anything. WishList Member Tutorials banishes all of that, and allows you to put the software to work for you, and not be left on the virtual shelf gathering virtual dust. I don’t want you feeling that can’t utilize something that is already yours, just because you don’t know what that first step is, or you’re unsure in some way if you’re going to set your site up right. Remember when you found that tool that gave you all the answers you wanted? Remember the relief you felt – all the excitement you had, like all your prayers had been answered..? Get Things Done Faster, Easier, Better! Now, many people promise this in their products, but don’t always deliver. This is definitely the exception. WisList Member Tutorials has been designed to make it the Fastest way you can set up your membership sites, Easier than ever before, and definitely Better than before too. As well as the extensive training on every aspect of WishList Member, and all the training on setting up sites in no time at all, you also get Quickstart/Review Videos for each site type. When you’re done with the training for each site type, you can use it to recap what the settings need to be, and everything else you need to have in place using these quick Review videos. And if you’re familiar with WishList already, you can use the video to just jump in straight into what settings you need to get going and have your site up in a matter of minutes! On top of everything else, you also get a full set of Checklists for each site setup too. If you like to check things off a list to make sure everythind is done correctly, then this is just for you. Every step is laid out for you, so as you go through setting up your site, you can keep track of it and you’ll quickly and easily know if there is any step left out that you need to do to finish your site. This alone can save you hours of testing time and troubleshooting on your site. Once you know that everything is set up as it should, it leaves no room for error. You set your site up correctly, it’s plain sailing to getting it to work. It really is the closest thing to “Paint By Numbers” that you’re going to get for setting up your Membership Site. This also means it’s a lot easier to get the answers you’re looking for, at the time you’re look for them! There’s nothing more frustrating than a problem popping up its head when everyone has gone home and you can’t get an answer from Support. We’ve all had problems in the past – big and small – and were unable to get any help when we needed it. Or the heating or air-con breaking down in the house and having to wait – for what seems like forever – for someone to come and fix it. It’s never quick enough. And no matter how many times it happens, it’s always still a pain in the….! This is why the course has been created in the way it has. 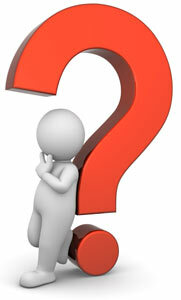 I don’t want you to have to suffer that pain any more to get your question answered when setting up you site. If you have a problem getting your site set up because you don’t know how to set up WishList on a Friday night… Monday is a long way away… and it can be a nightmare!! Now, I’m not a Support Desk. If your server isn’t working properly, or your shopping cart doesn’t work as it should, this is a problem for them, and you need to contact the relevant support desk for that issue. WishList Member Tutorials is going to get you up and running with WishList Member the quickest and fastest way possible, also giving you peace of mind that you have set up you site properly. Now, you don’t have to be a geek to go through this training. This is exactly why I created it. I know there are many people like you out there who want to be able to use WishList Member in their business, but they’re not sure about what to do as they feel they’re not technical enough to be able to do it properly. This is why I created each video as simple as possible so you would understand everything. You get to see each exact step I take, every button I press and every page I go to, to set up the site. This way, you can do the exact same on your site, in the quickest time possible. You don’t even have to know everything about the WishList Member software to get it working for you. All you have to do is to pick the site type that you want to set up, follow the videos and do what applies to you. It’s that simple! Once you get your site up and running, and want to get a bit more creative, to see what else can be done, you can either pick another set of videos to follow, or even go through the indepth WishList Member training. You can see exactly what every option in WishList Member does and then apply it to your site if you want to. WishList Member Tutorials is designed to be as flexible as you want. You can follow the Step-By-Step tutorials for each site type – and just follow them and nothing else – or you can go into every nook and cranny and explore eveything that’s under WishList Member’s hood. It’s totally up to you. If you are technically gifted, WishList Member Tutorials will also work for you too. I’ve gone through every link, button and option within the WishList Member software to show you exactly what they all do, so you can take the information and apply it in any way you want. 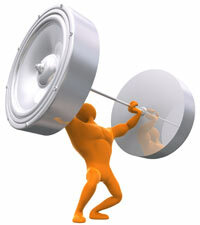 You can go through the indepth training in full, or you can pick the bits you want to learn more about. Each area is split up into specific videos for that section and you can pick and choose which videos you want to watch. Find what’s relevant to what you’re looking for – you don’t even have to go through a whole tutorial to get what you need. If you want to know what the Membership Levels tab does, and how it works, fine, you can do that. If you want to learn more about the Advanced tab within Membership Levels, you can also do that. Now, WishList Member Tutorials has been designed to be as easy as possible for you to follow. But, if the need arises that there is one little thing you don’t understand on any video, then you simply just ask. There is a comment form with every video, so you can ask your question about that video there and then. You can also see other people’s questions – if there are any – which can help answer yours. If you need any extra help with what I’ve done, I’m there to help you. I want you to know how to use the full power of WishList Member and also be able to apply to any site that you want. If you have a question – no matter how big or small – I’ll do what I can to put you on the right track. By asking your question, you’ll be helping others who have the same question themselves. Hey, you may have bought at training course in the past and it may not have lived up to expectations. But the thing is, many other intelligent people like you would, and probably have, done the same thing when presented with a similar situation. It’s because this has happened in the past to people, including myself, that I’m committed to bringing you the best training possible so that you have an awesome experience. If, within 30 days, the training does not help you build a WishList Member site with the training inside, then just email me and I will give you a No Hassle 100% Refund. All I ask is that you go through the training in full to set up the site you want. If after watching all the videos and you still can’t set up your site, then I will do what I can to help you. If the site still can’t be set up, then I will gladly refund you. I’ve worked on so many different set ups for Secure and Membership sites, that I know what works, and what doesn’t. Because I’ve used WishList Member from a Marketer’s viewpoint and not a techie’s, I also know what works and doesn’t work in the real world. I share with you my experiences and show you how to maximize your effort on your site, in the quickest way possible. I’ve taken all that time, effort and experience and put it into this course. You get the insights of how to get your site up quickly and efficiently but also correctly so you are safe in the knowledge that your content is secure and your site is doing the job it’s supposed to. All the time I spent looking for information, waiting for replies from Support, trying out different things to make sure they worked, cost me weeks worth of time and effort. If I had this knowledge back then when I needed it, I would have easily saved 10’s of thousands of dollars in lost time. I could have set up any number of sites for myself or clients, which would have added nicely to my bank balance. I’m sure you would prefer this rather than losing time and getting frustrated and maybe even very annoyed. I’ve done it, and there are many people doing it today, and more will do it in the future. The alternative to having to do all that work, waste all that time and have all that frustration is to join right now and eliminate them once and for all. You get all the information in one place. You cut and learning curve down from days or weeks, down to literally an hour or two – OR LESS! You don’t have to spend hours – like I did – learning everything there is to learn about WishList Member. You cut straight to what you’re looking for right when you want it, at any time of the day, or night. This course gives you not only the Step-by-Step tools for you to buil the membership site or secure site that you want, but it’s also a full reference for every element of WishList Member so you can expand your knowledge and come up with other membership site ideas what make life easier, and reward you financially. Which would you do first? Go for the extensive library to discover everything about WishList, or jump straight into setting up the site of your choice? Or both? Either way, you will find what you’re looking for inside to make life easier, happier and much more productive. When you join, what you will gain is worth $4,267.00, if not more. I could charge half that, and it would easily still be great value. Heck, you could have me create your site for you… With my prices starting at $2,495.00, I would create a site for you with all the bells and whistles you want. But I can’t do that for everyone. This is why I created the course for you. I know I can’t get back any of the time I lost while learning everything that has gone into WishList Member Tutorials. But I don’t want you to have to go through the same thing. I don’t want you to have to search for the answers you need, just to get your site up. We can never buy back time, no matter how much we’re willing to pay for it. But I’m not asking for anywhere near the full cost of the course. But I wanted to make this was as affordable as possible for you. I wanted you to be able to get your hands on the course, be setting up your site within minutes from now and be safe in the knowledge that you’re doing everything correctly. I know the pain and frustration of setting up sites and not knowing what’s going wrong or not knowing what to do to get it finished. And since WishList Member Tutorials is brand new, I want to give you the opportunity to get your hands on it at a great introductory price. So that’s why WishList Member Tutorials today is only $497.00 $197. This offer WILL increase soon. I’m giving it to you at this great price so you can be one of the first to get this great training. And as mentioned above you can ask me any question about any video in the course, and I will answer for you. You also get a full 30 Day No Hassle Money Back Guarantee. I also have a Risk Free 30 Day 100% Money Back Guarantee. If I’m not satisified with WishList Member Tutorials, I will get my money back – Hassle Free. On that basis, I want my copy of WishList Member Tutorials now so I can get my Membership Site up and running as quickly and easily as possible – even if it’s 2am in the morning – for the amazing offer of only $197! I know that if I leave it too late, I will miss out on this great offer. You can be experiencing the wealth of expert knowledge that’s contained in WishList Member Tutorials and putting the full power of WishList Member to work for you – just minutes from now. This is your secret weapon in getting everything possible out of WishList Member! When you click on the Add To Cart button, you will be taken to PayPal where you can easily and securely pay for WishList Member Tutorials. You can use your existing PayPal account, and if you don’t have one, you can use your Credit Card instead – just click on the “Pay with a credit or debit card” link to do so. Once your payment has been securely processed, you will be then taken through to a secure page where you create your own personal members account. Once inside you can then go to the option that best suits you to get your WishList Member site up and running as quickly as possible. I really look forward to working with you to get your site up and running within a few short hours from now – if not sooner! All the steps to get you there are inside. Just click on the Add To Cart button above, and you’ll be on your way to having your site set up safely and securely in no time at all. PS- Whether you’re a newbie or an experienced techie – or somewhere in between – WishList Member Tutorials will show you Step-By-Step what to do to get what you want from WishList Member. You get a full reference of every nook and cranny within the software, so you can use it to whatever specification you want. PPS- WishList Member Tutorials is backed by our 30 Day No Hassle Money Back Guarantee.I’m so confident that this training WILL get your site up and running quickly – and give you lots more besides. All I ask is that you go through the training and put it to work for you to set up your site. If after you’ve gone through all the training and it doesn’t work for you, then let us know, and we’ll send you a full refund – no harm, no foul.